In the past, we’ve seen some of the hip-hop greats such as Tupac and Eazy-E resurrect and make their return to the stage in the form of holograms. Now, the next hip-hop great to make a return to the stage will be Notorious B.I.G. Not too long ago, Faith Evans announced that she was working on a new joint album with her late husband titled “The King & I”. “After seeing all the technologies out there, I realized right away that ARHT Media would be the best partner to bring back Notorious B.I.G.” stated the singer/producer. She also mentioned that she has talked with various hologram companies to use his image for music videos and on stage. 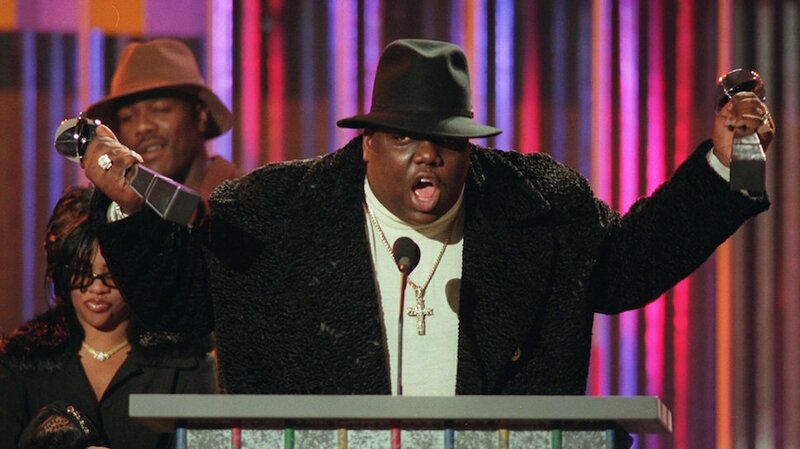 It’s been suggested by Biggie’s estate that ARHT Media Group will use digital images to bring him back to life. The first place we’ll see Biggie’s resurrection is in Faith Evan’s new music video to support a single from their new album. Biggie’s mother, Voletta Wallace told Billboard, “This project has been a long-time coming, and it is very special to me. Words can’t even capture how elated I am for the world to finally see my son again on stage and beyond. Christopher’s impact and legacy will not only live through his past work, but also the new experiences that are made possible through ARHT Media.” And there are rumors going around that the hologram will make an appearance next month in Brooklyn at the “Puff Daddy & The Family” concert at the Barclay’s Center.